Most would agree there are two things that are needed for weight loss – diet and exercise..aka FOOD and FITNESS and I agree, these are very important elements. However, my approach as your Fitcoach is holistic which also includes FAITH. It is important that you have faith in yourself, in your friends and family and in your purpose to lose weight and KEEP IT OFF! This mind, body, spirit approach to weight loss will help you in your immediate weight loss goals but most important getting to the root cause and overcoming for life. That is why I have developed the FITLIfe Ultimate Body Makeover 90 Day Challenge! As your FitCoach, I understand that a strong core of faith is equally as important to the success of your health. When you value you yourself for who you were created to be you will develop a more confident attitude toward your entire well being. For this reason I have handpicked coaches that will support YOU with recipes, exercises, and motivation based on the FITLife holistic philosophy! We are not going to be on a diet! You will learn how to use food to better your health and exercises that are realistic to maintain for life. I urge you to join the Facebook group I have created specifically for THIS 2016 CHALLENGE focusing on each others success’, progress, tough love if needed and encouragement always! Since this is a CHALLENGE, there will be prizes, beyond the prize of better health, awarded each week! Please see the steps to join below and reach out to me with any questions! 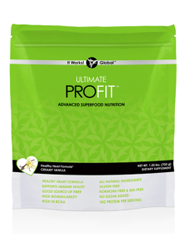 Step 1: Choose 90 Day Challenge Package or Products. The Packs simplify, and give you our most effective products at a value price. I understand that Santa may have blown your budget this month so I can also help you customize your products around your specific budget and goals to ensure you get started on Jan 4! Greens will increase your results with ANY of the It Works Products by helping you to constantly detox your body, giving you 8 servings of fruits and vegetables in each serving! Step 2: Decide if you want to promote the challenge by becoming an it works distributor or to participate in the challenge as a loyal customer! Either option will get you MY wholesale pricing on all your products, up to 45% off retail prices! Step 3: Email me Carla@theCarlaBurns.Com and let me know you have purchased your pack and are READY to START! I will send you a Welcome pack that includes a VIP invitation to our exclusive Facebook Group! This is where the Coaches and I will communicate with the group the most! It is also where everyone can share their success stories, cheer each other on, share recipes and exercises! The more participation the better, so please check and use the group daily if you can! Be one of the first 100 to join and I will send you my FITLife devotional guide ebook for FREE!!!! It includes over 100 of my favorite Fit recipies, product tips, exercise suggestions and more…! Step 4: Take BEFORE pictures and measurements. Remember to take front, back and profile pictures. Take the photos in a well lit area with minimal “distractions” in the frame (i.e. wall décor, counter top, etc. You will want the focus to be ONLY YOU, especially for those AFTER pictures!). Step 5: Start to develop healthy habits right away! To get the best results with your products & everyday good health, you should drink ½ your weight in ounces of pure water every day. Example: 160 pounds = 80 ounces = about 8 full size glasses of water! Step 6: As soon as your products arrive, begin using them as directed right away! All the products come with great instructions for use, but if you have questions on how to use them, let me know and I will help guide you! Step 7: Try to avoid salty, sugary, fatty & greasy foods. 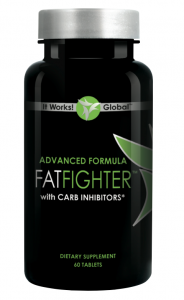 You started the challenge to look and feel better, but also to gain more energy & be in better health! 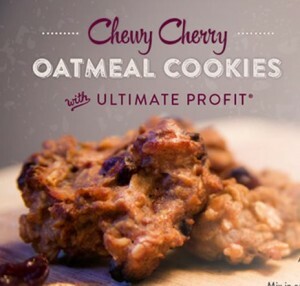 If you are craving something sweet, maybe reach for one of the delicious healthy cookies you have made one from our ProFit recipes (I will be sending out plenty of yummy ones)! Also, and this is a BIG ONE, if you want to use a sweetener for any of your foods or beverages, please use Stevia. Stevia is a NATURAL sweetener that will not raise or interfere with your blood sugar levels and can be found in your grocery store. Refrain from using artificial sweeteners AT ALL COSTS! They can cause bloating, slow weight gain, slow your metabolism and can cause addition cravings by affecting your brain chemistry! Day 8: Decide on a specific day each week to update your photos and any measurements. We encourage you to share them privately on the Ultimate Body Makeover 90 Day Challenge Facebook Group page. Photos will NEVER be shared without your permission! 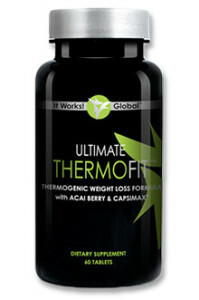 To win prizes beyond your weight loss & health!… you must enter by emailing your progress photos. Again, we will not share your photo without your consent; an emailed photo will be for our eyes only, unless otherwise instructed by you. I am so excited you have made the chosen to say YES to your health and happiness!